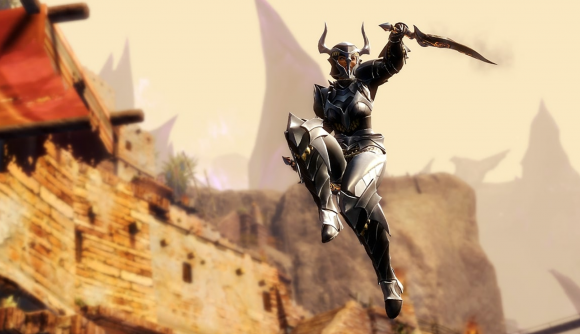 Belgian Guild Wars 2 players are reporting issues with the game’s currency system. Players from the country are no longer able to buy gems, and Belgium no longer shows up as an option in the game’s list of billing locations. The issue was first addressed last Friday, with a forum post stating that one player wasn’t able to buy any gems with real money. Gems are required to make purchases from a specific Gem Store, and can either be purchased, or traded for coins, the game’s basic currency. They can also be given away through codes, but it seems that neither purchases nor codes are working properly in the country. The initial forum post was followed up on Reddit, in a post that says the issue began on September 19. Since then, Belgian players attempting to buy gems have been met with an error message, and using VPN services has not yet proven to be an effective workaround. Further reports suggest that it is also no longer possible to buy the game in Belgium. As yet, there’s no official statement from the game’s developer ArenaNet. It’s possible that this is a bug, but far more likely that it’s tied into Belgium’s recent crackdown on loot boxes and in-game gambling. In the past year, Valve, 2K, and EA have all been forced to alter their practices within the country in order to comply with new laws. While Gems are ostensibly just premium currency, one player has pointed out that they can contribute to an in-game gambling system. That system uses coins, not Gems, but players are able to simply convert their games back into the basic currency as soon as they’ve bought them. As mentioned above, there’s no word from ArenaNet on this issue at the moment, but we’ve reached out to the company, and will update when we hear more.